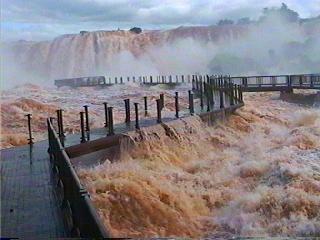 Argentina Discovery - The 10 Most Popular Posts on Argentina Photo Gallery in July 2013. Son of Spanish parents, his childhood was spent in Villa Pueyrredón (Buenos Aires) where he had a precocious interest in drawing. In 1948 he was certified as Illustrator at the School of Journalism. Two years later part of the studio's animation team bruche Burone while doing illustrations for children's stories (Perrault's Tales, Tales of Schmid, The Bremen Town Musicians and The Three Little Pigs) edited by Codex. For 1952 Mordillo Galas Studies co-founded, dedicated to the production of animations. Meanwhile, still developing his career as an illustrator and publishing some strips in local magazines. 2.- The 10 Most Popular Posts on Argentina Photo Gallery in June 2013. 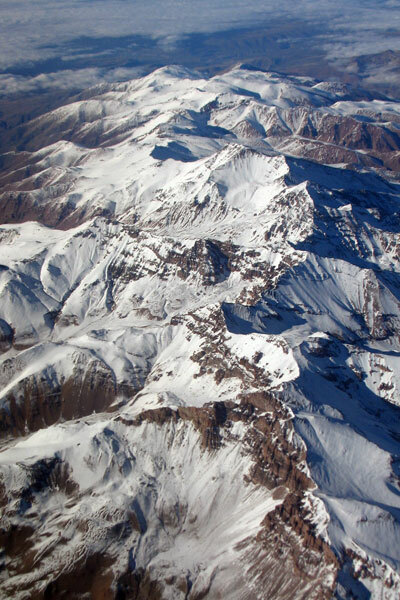 It is a unique place for its rugged beauty and landscape framework offered by the Andes. The most impressive mountains in the vicinity of the lagoon are the Veladero and hills and Bonnet Large Cap Chico.It is 4200 meters and vicuña reserve (can be seen in many a few meters from the road) and has recently been named a Ramsar site. 3.- 8 Great Places to Visit in Argentina. 4.- National Reserve Laguna Brava, unique for its rugged beauty and landscape framework of the Andes. 5.- The Andes mountain range shows its beauty in the Patagonian provinces. Imposing mammals and sea birds, half-way between real life and fantasy, spend certain seasons on the rough coasts of Patagonia where they complete part of their life cycle. Seals colonies play on the islets and sandbanks. 6.- Biodiversity in Patagonia Argentina. 8.- The 10 Most Popular Posts on Argentina Photo Gallery in March 2013. The nine sites of memory. From now until Tuesday, the Human Rights Secretariat ran signaled spaces where detention and torture during the dictatorship, in Buenos Aires, Córdoba, Santa Fe, San Juan, and Mendoza Misiones. The Federal Network of Sites of Memory signaled from today until next Tuesday nine former clandestine detention centers in the provinces of Buenos Aires, Córdoba, Santa Fe, Mission, San Juan and Mendoza. 9.- Carnival of Humahuaca, popular celebration introduced by the Spanish and merged with native rituals intended to celebrate the fertility of the land. The Carnival of Humahuaca is a popular celebration, held at the beginning of Lent (40 days before Easter), in the area of the Quebrada de Humahuaca, Province of Jujuy , Argentina. Introduced by the Spanish in America merged with Carnival native rituals intended to celebrate the fertility of the earth and honor the deity of Mother Earth, Pachamama, for goods received. This is a short version of the festival adapted Kapaj Peruvian Inti Rami, which began in December and ended in March, where they drank, sang, ate and danced to the limit. 10.- The 10 Most Popular Posts on Argentina Photo Gallery in May 2013. Prehistoric Argentina, the promised land of scientists, paleontologists and lovers of the great lizards. Argentina has proved, through the dinosaur paleontological Argentines, the promised land of scientists, paleontologists and lovers of the great dinosaurs that once, more than 65 million years, absolutely dominated the planet for a period of time over 160 million years.Argentina was in prehistoric times, a very populated by dinosaurs. At present, the finding of fossils has aroused the attention of paleontologists from around the world, as well as tourists from home and abroad. Today, there have been 23 visitors (138 hits) on this page!